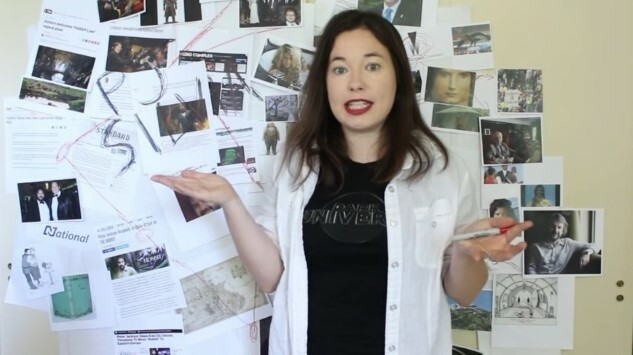 YouTuber Lindsay Ellis Has Been Nominated for a Hugo Award for Her Acclaimed "Hobbit Duology"
The YouTube video essay has become perhaps the defining form of entertainment media of the digital age, and yet it’s still not a medium that garners a lot of respect. Except for the likes of a handful of film YouTubers such as the dearly departed Every Frame a Painting, it’s a field where all of the middling quality entries have an anchor-like effect upon all the superior efforts. In much the same way that feature films on streaming services have slowly clawed their way into award recognition, though, the same is true of the YouTube video essay. And YouTuber Lindsay Ellis just made a major statement to that effect, garnering a Hugo Award nomination for her critically acclaimed “Hobbit Duology,” in the category of Best Related Work. It’s not the first time a YouTuber has been nominated for a Hugo Award—it’s happened at least once before, when Rachel Bloom was nominated in 2010—but it’s still a major honor and an important precedent, all the same. And it’s a fitting recognition of Ellis’ instantly gripping series of three videos on Peter Jackson’s The Hobbit, which offer a postmortem on how one of the most beloved film trilogies of all time (The Lord of the Rings) ended up being followed by a disappointing, overstuffed miscalculation. In actuality, it’s a story that basically ended up taking on a life of its own for Ellis and her partner Angelina Meehan. As the name suggests, the project was meant to initially spool out over the course of two videos, covering the production and execution of The Hobbit films. However, as she dug into the story of the labor disputes surrounding The Hobbit during its filming in New Zealand, Ellis felt compelled to return for a third installment that directly investigated the negative impact of the films on the New Zealand film market. Numerous candid interviews with former members of The Hobbit cast and crew make an argument that the film’s presence ended up changing the country’s laws for the worse, in an effort to make New Zealand more attractive as a filming destination for Hollywood features. And in the process, numerous rights were stripped from native New Zealand actors and film crew members. All the interviews are captured in person by Ellis, who traveled to New Zealand in order to document Hobbit stories at ground zero. For the Hugo Award, Ellis is up against some very tough competition, from Ursula K. Le Guin to a history of the Hugos themselves. A victory might be unlikely, but the honor is important nonetheless. Ellis’ work has rightly blurred the lines between “YouTube video essay” and traditional film documentary, and she deserves recognition for the massive undertaking of this project. Check out the first entry in the “duology” below, and catch the rest on YouTube.